Panel Discussion: "Practicing Anthropology in the 'Real World'"
Do you know what you are going to do with your degree once you graduate? 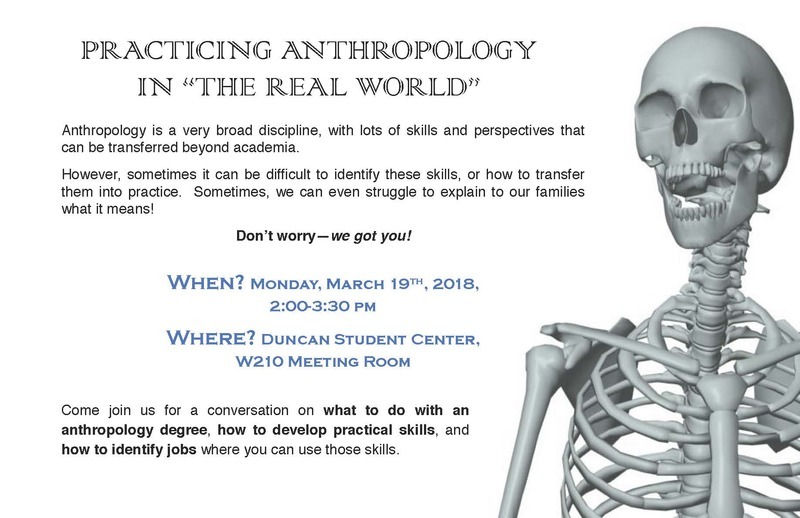 Do you often get questions from friends and family similar to: “Anthropology…how can you get a job doing that?” or “What does an anthropologist even do?” Well, if you have trouble answering those questions, then we have an event for you! 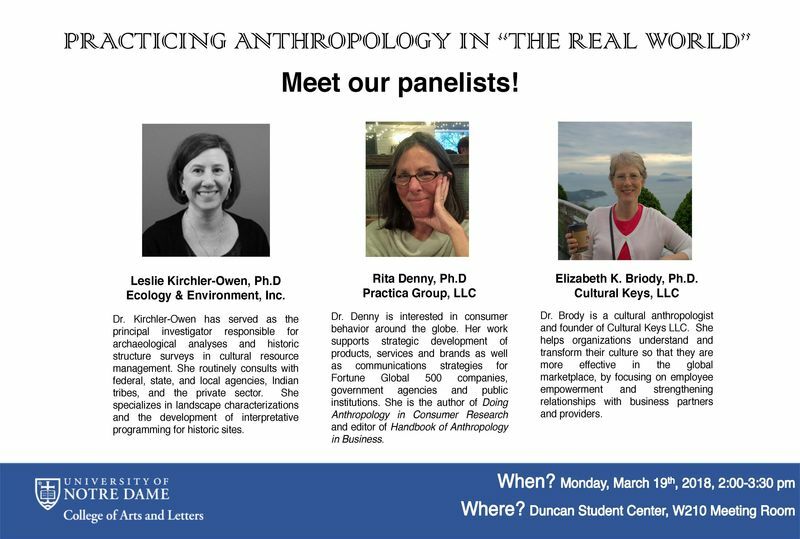 The Department of Anthropology is sponsoring a panel formed by three practicing and professional anthropologists. These three anthropologists have positions in the ‘real-world’ and are here to answer any and all questions that you may have regarding how to get a job in anthropology outside of academia. Attached you will find flyers with more details about the event, including location, time, and a brief introduction to our three guests. If you have any interest or any daunting questions that you want and need answered before you get your degree in anthropology, please come! We encourage you to bring your friends and family as well, so they know what you are talking about when you say you want a job in anthropology! Please contact Kayla J. Hurd khurd@nd.edu if you have any questions about this event.